Kick-start with basics of Electronics and progress to programmable walking Robots. Plunge into the world of connected devices, creating your own personal assistant by programming single board computers using Python. AI (Artificial Intelligence) assisted learning at the convenience of your home and pace of learning. Excellent technical support at the click of a button. Start now to become a Certified IOT Specialist. Sophisticated Smart-Class based learning experience along with like-minded and budding IOT Specialists in a world-class tech environment. Join now to become a Certified IOT Specialist. Robotics, Internet of Things (IOT), Virtual Reality (VR) and other next generation Kits, Courses and Certificates. What does SP Robotic Works do? SP Robotic Works is an institution to learn, build and showcase Robotics, IOT (Internet of Things), Image Processing, Virtual Reality (VR) and other next generation skills or education. These are some of the most sought after technologies in India and around the world. With an aim to upskill the youth of India, the course-work and certifications also provide an edge that is vital for showcasing what you can do in this world - paving a way to break into the world of the brilliant and smarts. The courses in Robotics, Internet of Things (IOT), Image Processing, Virtual Reality (VR) and more are structured, AI Based, offered both in the online and offline Smart-Class mode. The learning is completely practical with hands-on kits. SP Robotic Works is trusted by several industry experts and professionals. It is also a Ed-Tech startup that has won several awards / recognitions including from Government of India, CNBC, World Economic Forum, Confederation of Indian Industries, Assist World Records, World Start-up Expo and more. What are the courses from SP Robotic Works and how are they structured? Robotics, Internet of Things, Image Processing, Virtual Reality and more are some of the current and upcoming courses. The courses are designed by industry experts who have provided Robotics, Internet of Things and other technological solutions to several leading companies in the world. Hence the courses are also practical. The very popular Robotics course is structured in to four levels with respective kits. The levels and kits start with basics of Electronics and progress to programmable walking robots. Electroblocks kit / Foundation helps you to learn electronics, circuitry and more. Ranger Kit / Beginners helps you to learn basic Robotics and you will be creating a Bluetooth controlled wireless robot. Codey Kit / Advanced is for anyone who wants to learn applied coding. You will learn programming using Arduino based robot. Finally, Quadrino kit / Expert is for a four legged walking robot with which you can learn accelerometer, algorithms and more. Internet of Things kit / course is designed to create your own Home Assistant. It can talk to you and act like a smart device. It is done through use of Python Programming and Raspberry Pi. We provide two options for kick-starting your journey with us - one online and the other at our Maker Lab in different parts of India. For online learning, the first step would be to buy the kits from our website. Once you receive the kit, you can start learning online anytime and anywhere, at your convenience and create your own Robot. The Artificial Intelligence assisted e-learning platform is quite extensive to help you learn easily. The kits will solidify that learning since it allows practical knowledge. 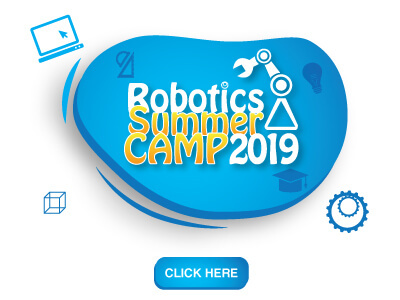 Learn, practice, create and turn in your ideas to be a Certified Roboteer! Alternatively, you can also learn at our Maker Labs using the shared lab kits. Every Maker Lab has sophisticated Smart-Class based learning classrooms to provide you with the best quality of education. The classes are available at a wide range of timings for your to choose from. They are also available in several locations in a city and across several cities. In both the modes of learning, there are continuous assessments and instant help from technical teams. What is SP Robotic Works Community and Why should you be part of it? Have you bought the kit from us? Or have you joined the Maker Lab? Then you are part of our Community. SP Robotic Works Community is considered the best in India for tech experience in the latest domains. All our Users, Makers, Tech Enthusiasts are connected through the online platform – you can check what others are doing, what are the cool projects, how to do them and learn from other’s mistakes and also showcase your talents to the Community. We constantly provide opportunities for our community members to showcase their talents to the outside world through competitions, industrial opportunities and more. We have provided opportunities in TEDx to speak out the ideas of their projects, we involve them in the projects to companies like Qualcomm, Tata that gives huge exposure and professional experience.